After what feels like an eternity, you have a car to call your own. As you sit behind the wheel and slowly turn the keys, you can't help but to feel a sense of exhilaration. After all, how often do you purchase a new car? Size affects driving performance, as Car and Driver demonstrated when they examined the effects of different wheel size configurations. While 19-inch wheels have a high aesthetic appeal, the larger size compromises on performance. Both 17- and 18-inch wheels offer the best balance in terms of grip, ride comfort, and steering feel. This is one of the reasons that most sports cars (e.g., the Volkswagen GTI, BMW 4 Series, etc.) tend to have wheels that come in these sizes. Installing wheels that are one or two inches larger than the factory ones can help boost your car's driving performance, but if all you want is to add style to your car then 19-inch wheels will be perfect. 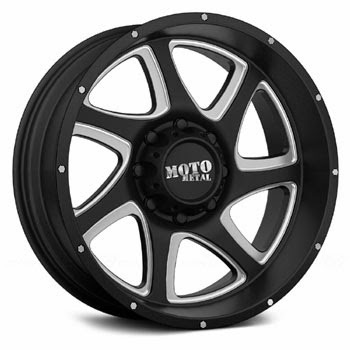 Alloy wheels, such as Moto metal wheels, offer better performance due to their lighter weight but also come at a higher price. Steel wheels are heavier and can dampen driving performance, from acceleration to agility; however, they're also much more cost effective, making them ideal for those on a budget. Both materials offer a wide range of styles and finishes to suit your personal preferences, allowing you to choose a color that matches your vehicle or something completely different. 3. How much are you willing to pay? Wheels can be purchased at different price points, starting from several hundred dollars on the lower end to several thousand for premium brands. Consider your priorities when you start looking for new wheels: if you are more concerned with appearance or don't have a lot of money, steel wheels would make more sense; if you care more about performance than anything else, go with the alloy. Make sure to research the specific brands, as well, so that you can get the best combination of quality and lower costs. Adding custom wheels is one of the easiest ways to make your car truly stand out. Be sure to keep all these considerations in mind before buying a set. Call or contact us at Tires By Web for more information about our excellent wheel brands!